Volvo has announced its new Care Key system will be introduced to all models across its range from 2021. 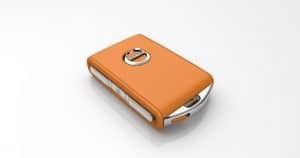 The Care Key allows owners to set a top speed limit for the vehicle and follows the announcement that the brand will limit all of its models to a maximum of 180 kph (120 mph) from 2020. It is a move prompted by the company’s desire to enhance safety across its range. Hakan Samuelsson, Volvo Cars’ president and chief executive, said: “We believe that a car maker has a responsibility to help improve traffic safety. Mr Samuelsson concluded that supporting safer behaviour through the use of the latest technology will “help drivers to stay out of trouble”. It could also have a positive impact on insurance premium prices for motorists in future, as the manufacturer is currently in the process of talking to several insurers about the significant safety benefits of these new Volvo innovations.